(Howard Schneider-Washington Post).Israeli officials say they will support President Obama's move to impose sanctions on Iran as a next step in the standoff over the country's nuclear program, though the narrower measures being considered by the White House may fall short of the "crippling" restrictions advocated here. With the expiration of the United States' year-end deadline for Iran to resolve the issue, Israeli Prime Minister Binyamin Netanyahu is "focused on working with the international community to upgrade the pressure on Iran in a way that makes the Iranian regime know that its nuclear program is unacceptable, that they are going to pay a price that will make them rethink," said spokesman Mark Regev. Obama "has been successful in galvanizing an international coalition that many people were cynical about. We are on the same page." The endorsement is significant because it comes from a country that is considered the most likely to launch a military strike to prevent Iran from developing nuclear weapons. Iranian President Mahmoud Ahmadinejad's denial of the Holocaust and his anti-Israel rhetoric have led Netanyahu to draw parallels to the years preceding World War II, and Israeli officials have said that all options are open in preparing for what some here regard as an "existential" threat. Israelis were initially skeptical of Obama's decision to engage Iran diplomatically, worried it would lead to the same end as previous diplomatic overtures -- years of talks and ineffective resolutions while Iran continued its nuclear development. The events of the last few months, however, helped curb the doubts. Ongoing pro-democracy demonstrations in Iran have created the sense of a regime vulnerable to pressure, while revelations about the extent and nature of the country's nuclear program have broadened international support for action. Israeli officials and analysts say they understand the limits Obama faces in pushing more stringent measures through the U.N. Security Council, where China holds a veto and remains hesitant to act against the Islamic republic. But they also say Obama now shares their sense of urgency and will soon propose a meaningful set of restrictions on the Iranian leadership -- sticking to a rough deadline he mentioned in a meeting with Netanyahu in May. With European nations and, more importantly, Russia looking poised to go along, "Israel is a spectator, like most other countries in the international community," said Deputy Foreign Minister Daniel Ayalon. "We trust that Obama and the U.S. will lead." Along with the Israeli-Palestinian dispute, Iran has been at the core of U.S.-Israeli discussions since Obama and Netanyahu took office in early 2009. They began with an overlapping set of priorities -- Obama viewing establishment of a Palestinian state as key to curbing Iran's influence over Islamist radicals in the region, and Netanyahu viewing Iranian influence as a security threat that needed to be addressed for the conflict with the Palestinians to be resolved. Beyond the risk of an Iranian nuclear strike on Israel -- considered unlikely because of Israel's nuclear deterrent capacity and the possible U.S. response -- Netanyahu has argued that a nuclear Iran would destabilize moderate Arab states in the region and embolden Iran-supported groups such as Hamas and Hezbollah that sit on Israel's borders. Obama and Netanyahu seem to have reached an understanding, with some of Netanyahu's overtures to the Palestinians winning U.S. support and Obama's policy toward Iran gaining Israeli trust. Meanwhile, talk of an Israeli strike has been tempered by discussion of the complexity of such an operation and the likelihood that it would do little other than delay Iran's progress. "As long as Obama is engaged in some kind of diplomatic effort, Israel is going to wait and see how it plays out," said Emily Landau, director of the arms control program at Tel Aviv University's Institute for National Security Studies. "It is in Israel's interest for it to be dealt with diplomatically. The military option is only getting more and more difficult." Other options are being discussed. At a Jerusalem news conference this week, Canadian lawmaker and former justice minister Irwin Cotler announced an effort to try Iran on grounds that its actions and the statements of its leaders put it in violation of international treaties on genocide prevention. Cotler, who has close ties to Israel, has been discussing the initiative with Israeli leaders as a way to further pressure Iran using international law -- a sensitive topic here because of similar efforts to target Israeli leaders and military officials for their country's recent war in the Gaza Strip. The initiative could also help lay the groundwork under international law for military action, if all diplomatic efforts are exhausted. "A nuclear, genocidal, rights-violating Iran is a clear and present danger to international peace and security," Cotler said. "There have been deadlines before. We should not wait for atrocities." (Aluf Benn-Haaretz).The most important decision Israel will face this year will be whether or not to go to war against Iran. Prime Minister Benjamin Netanyahu believes his life's mission is to save Israel and the Jewish people from the Iranian bomb. Since he took office, Jerusalem has signaled to the international community that it will take action itself if diplomatic efforts and economic sanctions fail to stop Tehran. The conservative British historian Paul Johnson, who was close to Netanyahu at the start of his career and also influenced his views, wrote in Forbes magazine in August: "If the prime minister does give the go-ahead for a strike against Iran, I'm sure it will be a meticulously prepared plan carried out with utmost efficiency - and that its diplomatic, political and military consequences will have been carefully thought out." According to Johnson, "far from being the 'bigoted right-winger' described in the Western press, Netanyahu is exceptionally bright and superbly well informed and has an open and flexible mind." The decision to go to war would be complicated because of the fear of an Iranian response that could drag Israel into a drawn-out war of attrition, and the chance of missiles and rockets being fired at the home front. Is it worth risking severe damage to Tel Aviv and paralyzing Israel's economy just to delay the Iranian project by two or three years? And that is not all: In the opinion of most strategic experts, Israel will not attack Iran without coordinating its moves in advance with the American administration. President Barack Obama opposes an Israeli strike. However, that does not guarantee that Israel will refrain from taking action; it means only that the decision to do so will be difficult and will probably be taken only if Netanyahu feels that Israel is completely isolated, and that the world is resigned to a nuclear Iran. The premier could also decide not to attack, as his predecessors did and as he himself did in 2009, in the hope that Obama will succeed to rein in the Iranians, or that the regime in Tehran is toppled by protesters. Thus the decision to attack is not Israel's alone. It could also be made in Washington and on the Iranian street. And it could be skewed by surprises - like a sudden discovery that Iran has already "crossed the threshold" and has the bomb, or a flare-up between Israel and Hezbollah that escalates into a regional war. The second decision Netanyahu will have to make in the new year is what to do about the Palestinians. The freeze on construction in the settlements expires in the fall, and the prime minister has already promised that construction will resume at that time. "The world" will pressure him to extend the freeze and to advance the two-state solution, which Netanyahu accepted in his Bar-Ilan University address. In this case, too, as with Iran, the decision is not that of Netanyahu and his fellow participants in the "forum of seven" alone. For his part, Obama will have to decide how much, if at all, to invest in the peace process. Furthermore, Palestinian Authority President Mahmoud Abbas will have to decide whether and on what terms to return to the negotiating table. Israel's right wing will have to decide on the amount of leeway Netanyahu will be accorded before the coalition collapses, and any developments on the Iranian front - or to the north of Israel - will also influence the Palestinian track. Netanyahu's third major decision concerns Gilad Shalit and the price worth paying Hamas for the kidnapped soldier's return. The year 2009 ended without a deal for his release, and the prime minister is demanding that terrorists who pose a high risk be deported to Gaza, Arab countries or outside the region - anything but a return to the West Bank to rebuild the terror networks there. If Hamas insists on everyone returning "to their homes and their families," however, Israel will have to enter another round of decision-making. And, as always, this year in Israel the big decisions will have to be made about all manner of unanticipated events and surprises, not necessarily because of anything that was planned in advance. (Ynet).US-Israeli dialogue on Iran has not reached the point of discussing a military option to thwart its nuclear ambitions, focusing instead on sanctions in 2010, Israel's envoy to Washington said Thursday. At the close of a year in which US President Barack Obama tried and failed to talk Iran into curbing uranium enrichment, a process with bomb-making potential, Ambassador Michael Oren said he saw no sign of the Americans relenting on that core demand. "I'm very confident in America's commitment to dissuading Iran from enriching uranium on its soil, which is our common goal," Oren told Reuters in a telephone interview. Asked whether Israel is facing any US pressure over the issue of possible military action, Oren said: "It's not a subject that comes up. It's not a subject of discussion. It's not a subject of conversation between us because we're not there yet. We're far away from that. "Right now the main focus is on the formulation and the application of sanctions. That's where we are." (Haaretz).Senior officials in the Prime Minister's Office said Thursday that "there is a possibility of a breakthrough surrounding the resumption of peace talks between Israel and the Palestinian Authority." According to the officials, following Prime Minister Benjamin Netanyahu's recent visit in Cairo, the Egyptian administration was making efforts to bring the Palestinians back to the negotiating table. They added that Palestinian President Mahmoud Abbas was expected to arrive in Cairo next week to meet with Egyptian President Hosni Mubarak. They said further that the Egyptian diplomacy was being closely coordinated with the American administration. The plan is to send Egyptian Foreign Minister Ahmed Aboul Gheit and Egyptian intelligence chief Omar Suleiman to Washington after Abbas meets with Mubarak, to brief the American administration on any progress. The Egyptian initiative apparently stems from promises made by Netanyahu to Mubarak during his trip earlier this week regarding Israel's commitment to peace talks. Netanyahu presented Mubarak with agreements reached between Israel and the U.S. regarding the preconditions for talks, including the issues of Jerusalem and the Palestinian demand to return to 1967 borders. (Reuters) - Israeli Prime Minister Benjamin Netanyahu has proposed an Egyptian-hosted summit with Palestinian President Mahmoud Abbas as a possible way to resume stalled peace talks, Israeli officials said on Thursday. The offer was the latest sign that progress was being made toward renewing U.S.-backed negotiations frozen for a year. Palestinian and Egyptian officials had no immediate comment on the plan, which two Israeli officials said Netanyahu raised on Tuesday at talks in Cairo with Egypt's President Hosni Mubarak. Abbas was due to meet Mubarak next week and U.S. President Barack Obama's Middle East envoy George Mitchell is expected in the region in early 2010 for a new push to resume peace talks. "Israel's idea of an Egypt-hosted peace summit with Abbas was proposed during Netanyahu's talks with Mubarak," an Israeli official told Reuters. Another official confirmed Netanyahu had raised the summit idea. Netanyahu's office would not comment. On Wednesday, a spokesman, Mark Regev, said Israel hopes to "indeed see the resumption of talks with the Palestinians in the near future." Nabil Abu Rdainah, an aide to Abbas, said the region "will see important political activity in the next two weeks." Egyptian Foreign Minister Ahmed Aboul Gheit on Thursday praised Prime Minister Binyamin Netanyahu's approach to the peace process, while saying there were "prospects" for the Israeli-Palestinian track. "What we have noticed is that Netanyahu is showing a new approach and ideas that go beyond his original position," Gheit told Sky News. He is eager to open discussions with the Palestinians, but he is showing changes." He said the Egyptians had told Netanyahu that he must ensure his ideas serve to "encourage" the Palestinians. The Egyptian foreign minister went on to say that he hoped by January 9-10 "we'll be in a better position to determine the course and road to follow." He said the idea was to bring Palestinians and Israelis, supported by the US and the international community, to the negotiating table in order to agree on an "end game." Gheit said, however, that a final settlement must include a Palestinian state on all West Bank territory, according to 1967 lines. "If we agree on that, then there will have to be an agreement on a full moratorium on all settlements," he added. (Jpost).A Likud official close to Kadima split engineer Transportation Minister Yisrael Katz confirmed to The Jerusalem Post Wednesday evening reports that attempts by Likud to drive a larger wedge into Kadima were frustrated when Prime Minister Binyamin Netanyahu refused to accede to key Kadima MKs' demands. Channel 2 television reported Wednesday evening that Edri was a pivotal go-between in Likud's attempts to enlist a senior Kadima figure who could serve as a rallying point for other party rebels. Edri allegedly attempted to enlist MK Meir Sheetrit, with the expectation that Sheetrit would receive a key ministerial position. The report also claimed that Edri pressed for his longtime parliamentary aide Orly Yehezkel to receive a director-generalship in a government office. But despite the fact that according to the report, Justice Minister Ya'akov Neeman offered to step down to allow Sheetrit to take his position, Sheetrit insisted that the only position he desired was that of Education Minister. Netanyahu then reportedly replied that he would not remove current Education Minister and Likud number two Gideon Sa'ar from the ministry, and Yehezkel was also not offered any desirable post, and so, according to the report, the deal was "blown up." Likud sources said in addition that Sheetrit sought ceremonial titles as well, such as deputy prime minister. • Binyamin Netanyahu - He didn't win the most votes in the last election (sound like anyone we know?) but he got the top job anyway. He deflected American pressure for a total settlement freeze with a partial moratorium. Palestinian Authority President Mahmoud Abbas insisted on terms he knew Netanyahu couldn't meet and rejected Bibi's invitation to meet him halfway, making the Israeli leader look like the only one who really wants peace. • Barack Obama - For contracting out health care reform to the Congress, for creating confusing policy on Iran, for getting outfoxed and outmaneuvered by Bibi Netanyahu and for a focus on bipartisanship that never had a chance. Afterrunning an effective campaign to become president, he now needs some first-class legislative strategists to help enact his agenda. Quickly. The Guardian: Ahead of 2010 Will the Middle East collapse in flames? Or will Iran come in the from the cold? It is easy enough to construct a scenario in which the Middle East explodes into flames in 2010, dragging the rest of the world into a churning crisis of widening military confrontation, terrorist attacks in western cities, and a global economic recession spawned by chronic oil shortages. An Israeli aerial attack on Iran's suspect nuclear facilities is the most obvious trigger. Any such action would be likely to provoke retaliatory attacks on Israel by Iran's Lebanese proxy, Hezbollah, and against US targets in Bahrain and the Gulf. The Obama administration's official line is that there are "no good options" on Iran, and that a military strike would have only a short-term impact. But nuclear negotiations are at a standstill, sanctions do not appear to be working and the unofficial US deadline for Iran to start co-operating expires today. The US may not be able to restrain Israel's headstrong prime minister, Binyamin Netanyahu. And it would inevitably be drawn in on Israel's side. If, as seems probable, Iran responded by blockading or mining the Straits of Hormuz, Obama would be in direct confrontation with Tehran. Truly, it's a dreadful prospect. But it is just as easy to offer a more positive interpretation. In one sense, the difference between a deal and a rupture with Iran boils down to two hardline individuals: Supreme Leader Ali Khamenei and President Mahmoud Ahmadinejad. Should either be removed from power, by political opponents, by an internal coup, or for reasons of health, the picture could be transformed. Iran is a young country with a mainly pro-western outlook. Its educated classes bemoan the gulf with the west that has grown up since the 1979 revolution. The majority favours rapprochement. And if a policy of re-engagement were to take hold, as happened in eastern Europe 20 years ago, it could prove impossible to stop. Iran's coming in from the cold would have an enormous impact around the region. Bellwether countries such as Syria would follow suit. Support for violent, rejectionist Islamist extremism in Iraq and Palestine would correspondingly decline. This in turn could create an exceptional opportunity to resolve the Arab-Israeli conflict. The key elements of a peace deal are all well known, laid out in the Arab League's initiative and the US-backed road map. The likely shape a final settlement might take, including borders, Jerusalem, compensation for refugees, and mutual diplomatic recognition, is no mystery. The more problematic question in recent years has been how to create enough trust and momentum to get from here to there. If Israel's leadership, freed from its Iran fixation and preferably headed by a replacement for Netanyahu, truly wanted it; if Hamas, faced by dwindling external support, and Fatah patched up their differences and came to the negotiating table; and if Obama was there, too, ready to guarantee a deal militarily and financially, there's no objective reason why 2010 might not be the harbinger of lasting peace in the Middle East. The knock-on effect of such a historic grand bargain could be spectacular, for example by removing much of the ideological raison d'etre for al-Qaida-style terrorism. The boost to efforts to halt proliferation of weapons of mass destruction might be equally stunning. In prospect might be an end to the "clash of civilisations", as urged by Obama in his Cairo speech. Of course, this can easily be dismissed as wishful thinking. People get comfortable with failure; we are accustomed to things not working out. The odds favour gloom. Believe the worst, as they say, and it will probably happen. But hope for the best, and who knows? With a bit of faith and a dash of luck, 2010 might just bring some pleasant surprises. A national survey of 800 Egyptians (margin of error +/- 3.46 percent) shows that millions of Egyptians are exhibiting an encouraging openness to Israel. Egypt is the leading Arab nation in the region and for the moment has moved toward accepting engagement and normalization with Israel. On many issues, the Egyptian public is ready for peace and has more open views than others in the region. "This groundbreaking and statistically valid research shows conclusively that Egypt, which made peace with Israel 30 years ago when Israel gave up all of Sinai and Sadat came to Jerusalem, is open to lasting peace," said pollster Stanley Greenberg, Ph.D., whose firm, Greenberg Quinlan Rosner Research (GQRR) led the research. "Clearly the actions of Egyptian leaders - from Anwar Sadat to President Mubarak - stand above those of others in the region. Egyptians are much more open to America, President Obama, and Israel than Arabs in Gaza and Jordan." (Jeff Jacoby-The Boston Globe).AFTER THE SEPT. 11, 2001 terrorist attacks, it was widely asserted at the time, nothing would be the same. What Pearl Harbor had been for our parents and grandparents, 9/11 would be for us: a shattering national wake-up call revealing both the gaping holes in America's homeland security and the reality that we were at war with an implacable enemy whose defeat would require years of sacrifice and resolve. * Terrorism isn't caused by poverty and ignorance. Abdulmutallab came from a wealthy and privileged family, and had studied at one of Britain's top universities. He wasn't trying to kill hundreds of Americans out of socioeconomic despair. Like the 9/11 hijackers and countless other jihadists, Abdulmutallab was motivated by ideological and religious fanaticism. The teachings of militant Islam may seem monstrous to outsiders, but that is no reason to doubt that their adherents genuinely believe them, or that by giving their lives for jihad they hope to change the world. * The global jihad is real. Homeland Security Secretary Janet Napolitano was widely derided for initially insisting that Flight 253 wasn't blown up in mid-air because "the system worked" and "the whole process went very smoothly." Far more troubling, however, was her effort to downplay the suggestion that Abdulmutallab's attempted attack was "part of anything larger" -- this even after he had terrorist acknowledged his ties to al-Qaeda. Of course Abdulmutallab is part of something larger: He is part of the global jihad -- the relentless assault by Islamist radicals whose deadly serious goal is the submission of America and the West to Islamic law. If government officials like Napolitano cannot bring themselves to speak plainly about the jihadists' ambitions, how will they ever succeed in crushing them? * Terrorists can always adapt to new restrictions. After 9/11, knives and sharp metal objects were banned from carry-on luggage, so Richard Reid attempted to detonate a shoe bomb. Thereafter everyone's shoes were checked, so the 2006 Heathrow plotters planned to use liquid-based explosives. Now liquids are strictly limited, so Abdulmutallab smuggled PETN, an explosive powder, in his underwear. There is no physical constraint that determined jihadists cannot find a way to circumvent. Yet US airport security remains obstinately reactive -- focused on intercepting dangerous things, instead of intercepting dangerous people. Unwilling to incorporate ethnic and religious profiling in our air-travel security procedures, we have saddled ourselves with a mediocre security system that inconveniences everyone while protecting no one. * The Patriot Act was not a reckless overreaction. Security in a post 9/11 world has not come from pressing a "reset button," sending Guantanamo inmates off to Yemen, or refusing to use terms like "war on terrorism." It has come from stepped-up surveillance and stronger intelligence-gathering tools, and from working to pre-empt terror attacks in advance, rather than prosecuting them after the fact. Congress was not out of its mind when it enacted the Patriot Act in 2001, and the Bush administration was not trampling the Constitution when it deployed the expanded powers the law gave it: They were trying to prevent another 9/11 -- and they succeeded. President Obama has repeatedly and ostentatiously criticized his predecessor's approach. Perhaps it is not just a coincidence that Obama's first year in office has also seen an unprecedented surge in terrorist threats on US soil. (IsraelNN.com) A delegation of the Rabbinical Congress for Peace (RCP) met with U.S. Ambassador to Israel, Mr. James Cunningham, today and called for a reassessment of the entire U.S. policy vis-à-vis the Israelis and Palestinians. The rabbis told Ambassador Cunningham that it was time to try the Biblical approach to the dispute over the Land of Israel. "The past 17 years have proven without a shadow of a doubt that every square inch ceded by Israel to the Palestinians was transformed into a platform of hatred and terrorism," RCP Director Rabbi Avrohom Shmuel Lewin told the ambassador. "In other words, the 'land for peace' formula in the Israel-Palestinian context, besides being a formula that goes against the Divine will, is ineffective, obsolete, and an exercise in futility. Most of all it is a dangerous policy that only leads to bloodshed and instability in the region and harms vital American interests in the region as well," Lewin said. 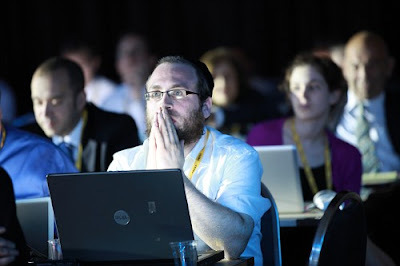 "In the name of the overwhelming majority of rabbis in Israel," he said, "we request of you Mr. Ambassador, to convey our Halachic message to President Barack Obama that it is time for a complete reversal and reassessment of U.S. policy in the Middle East. The 'land for peace' policy never worked and harms U.S. interests in the region and the world at large." Left to right: Rabbi Sholom Gold, Mr. Marc Sievers of the US Embassy, Rabbi Dov Lior, Rabbi Joseph Gerlitzky, Ambassador James Cunningham, Rabbi Moshe Havlin, Rabbi Avrohom S. Lewin. The Rabbis handed the ambassador a Halachic Ruling signed by over 350 rabbis in Israel that forbids giving up land controlled by Israel today. The ambassador was visibly moved by Rabbi Sholom Gold, a leading rabbi in Jerusalem, who described the suffering that the Jewish People have endured ever since the implementation of the Oslo Accords and the agreements that followed. "It's all a play of words, there is no peace process," he said. "From the day that we started conceding and withdrawing we did not have one day of rest and peace. Why should our enemies want to make peace with us when they see that with terrorism they get what they want? Even the U.S., Israel's supposedly best friend, sides with them in demanding a freeze and evacuation of settlements. Is the triumph of Arab terror one of American interests?" Gold asked. Rabbi Dov Lior, the Rabbi of Kiryat Arba-Hevron, said: "G-d gave the US the power and influence to affect the rest of the world and supporting Israel is the key to America's success." Ambassador Cunningham told the rabbis that he does not see how the problem can be solved “without taking into consideration the Palestinians,” to which Rabbi Gold remarked: "Ever since we started taking the Palestinians into consideration the situation only worsened." The ambassador asked the rabbis, "So what is your solution to the problem?" Rabbi Gerlitzky replied: "You must switch the entire approach to the situation. We all believe in the Holy Bible and up until now we tried every formula except for that which is delineated in the Bible. Let's try it and who knows, Mr. Ambassador, maybe this is your defining moment, that G-d Almighty has placed you in this capacity in order to precipitate a new course which will bring a true peace to the entire region." (IsraelNN.com) Prof. Daniel Hershkovitz, head of the Jewish Home party and Minister of Science and Technology, paid a visit Wednesday the protest tent in Jerusalem against the freeze of Jewish construction in Judea and Samaria. "We have no better government, even if the decision on the freeze is difficult and painful,” he told the activists at the tent. “We have reached understandings that are meant to make things easier for the settlers in Judea and Samaria. Some are already implemented on the ground, and some will be felt in the near future,” he said. (From a BLOG Post in Promised land blog)......To that we must add the question of the PM’s personality. but from what I observe, Netanyahu – unlike his image – is very careful with the use of military power. During his previous term, when violent clashes occurred between Palestinians and Israelis over the Kotel Tunnel incident, Netanyahu went out of his way to stop the fire. He even hugged Yasser Arafat. Compare that to Ehud Barak’s response to the October 2000 events, or to the Olmert-Livni cabinet, which started two wars. Sometimes, we should judge leaders by what they do, not just by what they say, and Netanyahu is the only Israeli PM in almost two decades not to start a wide scale military operation against the Palestinians or a neighboring Arab country (and that includes the six months Peres had at the PM office, which were enough for him to start the 1996 operation in Lebanon). (DANNY AYALON-WSJ).The recent statements by the European Union's new foreign relations chief Catherine Ashton criticizing Israel have once again brought international attention to Jerusalem and the settlements. However, little appears to be truly understood about Israel's rights to what are generally called the "occupied territories" but what really are "disputed territories." Mofaz eyeing UNITY Gov't; "Livni lacks leadership,She will never be PM". In a interview, which will be published in full in Haaretz Magazine on Friday, Mofaz was highly critical of Livni's character and her conduct as head of Kadima since the elections. Livni lacks leadership, is arrogant, is devoid of emotional intelligence and does not like people, he charged, adding that her lack of leadership, inability to make decisions and inability to communicate with people make it impossible for her to become prime minister. Moreover, she made strategic mistakes that led to the deep crisis in which the party is now embroiled, he said. In his view, unless the party holds a new leadership primary soon, Kadima is in danger of falling apart. The situation in the party today, he said, is intolerably undemocratic. "It's a 'my way or the highway' approach. It's all in my hands, and therefore I'll decide." Mofaz believes that if Kadima holds a new primary in the coming months, his chances of victory are good. If this happens, he will seek to establish a unity government with Prime Minister Benjamin Netanyahu, as long as the latter agrees to two conditions: advancing the diplomatic process with the Palestinians and altering the system of government. In the longer run, Mofaz considers himself a candidate for the premiership. Speaking at Likud Central Committee meeting, Prime Minister Netanyahu told the Central Committee that "unity has always been important to us, since the days of the late Menachem Begin to this very day." "I have always aspired to form a wide unity government expressing all parts of the people. A real unity government. Unfortunately, despite my very generous offer to the Kadima chairwoman nine months ago, she did not accept it. She refused for her own reasons." The audience responded to the remarks by booing Opposition Chairwoman Tzipi Livni. "I have just come from Egypt, and I am very encouraged by (Egyptian President Hosni) Mubarak's commitment to advance the peace process with the Palestinians." "It's time to restart the diplomatic process, resume the peace process. It's time for everyone to join in so we can do it." "This government is doing and has done important things, In terms of security, you remember what happened here. There were years a Qassam would come down and then another one, and then a missile, and then another missile, sometimes mortar shells, sometimes in an open area, a constructed area. The drizzle has turned into rain and the rain eventually turned into a storm". "We are acting differently. Our security policy is a clear policy. We will not accept firing on our territory with indifference. Any firing incident is answered, no matter where it lands. There is an immediate and firm response." The prime minister also referred to Iranian nuclear program, calling on the international community to impose harsh sanction immediately. "This matter will definitely keep us and the entire international community busy in the near future," he said. (Ynet).Likud Knesset members on Tuesday evening expressed their objection to Prime Minister Benjamin Netanyahu's proposal to extend the party's membership application period in order to encourage Kadima activists to "return home". Deputy Minister Ayoob Kara told the Likud Central Committee convening in Tel Aviv's Exhibition Park that "those who destroyed the Likud have no room amongst us." After getting off the stage, he said, "There is no room amongst us for traitors and deserters. We will not take back those who worked to destroy the Likud." MK Tzipi Hotovely strongly opposed the proposal and called on the Likud to leave Kadima in the opposition. "We must tell all Kadima members, your place is not in the Likud. People who voted for the expulsion of Gush Katif, people who have nothing to do with the Likud's values, belong in the opposition." According to Hotovely, "We will only bring in people who will be ready to be loyal to the movement's values." Hotovely went on to slam the construction freeze in West Bank settlements. "We were elected to build, not to freeze construction in Judea and Samaria," she said. "We will not accept the decision to freeze construction. It will not stop after 10 months." Egyptian Foreign Minister Ahmed Aboul Gheit on Tuesday said he was encouraged by Prime Minister Benjamin Netanyahu's visit to Cairo. Aboul Gheit said Netanyahu is serious about restarting peace talks with the Palestinians. He refused to share details of what Netanyahu proposed, but he said the premier presented proposals that surpassed Israel's previous positions. "I can't talk about details, but the prime minister was discussing positions that surpass in our estimate what we've heard from them in a long time," Aboul Gheit told reporters, adding "I can't say that he has come with changed positions, but he is moving forward." The Palestinians have said they will not resume talks until Israel freezes all settlement construction in the West Bank and East Jerusalem. They also want Netanyahu to resume talks from the point they broke off under his predecessor, Ehud Olmert. Aboul Gheit said Netanyahu gave his Egyptian hosts the impression that he wants to get diplomacy moving again, and that everything is on the table. (JTA) -- Israeli Prime Minister Benjamin Netanyahu met in Cairo with Egyptian President Hosni Mubarak. During Tuesday's meeting, which lasted less than two hours, the leaders were reportedly set to talk about restarting peace talks between Israel and the Palestinians and about negotiations on a prisoner swap that would free captured Israeli soldier Gilad Shalit. No details of the meeting were released when it ended Tuesday afternoon. During an "in depth and friendly" meeting, the leaders "discussed ways to reignite the Israeli-Palestinian peace process and the efforts to retrieve kidnapped IDF soldier Gilad Shalit," said a statement released from the Prime Minister's Office following the meeting. Netanyahu was joined on his trip to Cairo by Yitzhak Molcho, his special envoy for talks with the Obama administration. He was also accompanied by Industry, Trade and Labor Minister Binyamin Ben-Eliezer, who met with Egyptian intelligence chief Omar Suleiman. (AP,JPOST).The US administration is heading towards placing "paralyzing" sanctions on Iran, Israeli Ambassador to Washington Michael Oren said Tuesday. Speaking to Army Radio, Oren added that although it was "too early," the US had also not yet abandoned the military option. Oren went on to reject claims that US President Barack Obama was trying to downgrade relations between Washington and Jerusalem, saying, "The man is very warm towards us… I hope that during the next year he will also come [to Israel], and bring that [warmth] to the Israeli public." Israel announced Monday it is building nearly 700 new apartments for Jews in east Jerusalem, where Palestinians hope to set up the capital of a future state. The U.S., Palestinians and the European Union condemned the plan, a fresh setback to American efforts to restart Mideast peace talks. "Neither party should engage in efforts or take actions that could unilaterally pre-empt, or appear to pre-empt, negotiations," said the White House press secretary Gibbs. "Rather, both parties should return to negotiations without preconditions as soon as possible." The press secretary added that the status of Jerusalem is a permanent status issue that must be resolved by the parties through negotiations and supported by the international community. "We believe that through good faith negotiations the parties can mutually agree on an outcome that realizes the aspirations of both parties for Jerusalem, and safeguards its status for people around the world," he said. Prime Minister Binyamin Netanyahu on Monday evening called Kadima party leader Tzipi Livni "a serial unity refuser," after her party unanimously rejected his offer to join a national unity government. "Livni is a serial unity refuser … I am still determined to expand the government in light of the national challenges we are facing," Netanyahu told his advisers. Earlier, his spokesman told Channel 2 that Netanyahu would not conduct further negotiations with Kadima on the opposition party joining an expanded national unity government. Following Kadima's announcement, a communiqué from the Prime Minister's Office stated that "Netanyahu regretted hearing that Kadima, under Livni's leadership, rejected his proposal to expand the national unity government. In face of the… challenges Israel is facing, the prime minister hoped the stance would be different." Earlier on Monday, Livni accused Netanyahu of "arrogance" and a cynical use of the threats Israel is facing after her faction voted to reject the premier's current offer to join anational unity government. "Today hope beat the cynicism and the truth beat narrow politics," she told a press conference. "We saw a peak in cynicism from a man who is unfortunately prime minister, and we saw it in a week when the country was waiting with bated breath to hear about the fate of a soldier. "We saw the cynical use of threats for political reasons, to quickly bring-in parts of Kadima. It is inappropriate for a prime minister to do such a thing," Livni added. "We're thankfully not in state of war, but unfortunately we're not in a state of peace either." She also accused the prime minister of a "brutal use of threats" against what is Israel's largest party. "I restrained myself in the face of this political bullying because [Kadima founder Ariel] Sharon said restraint is strength," Livni continued. "Whoever thinks threats impact my decisions does not know me." She claimed that Netanyahu only made an offer to Kadima at all "because he did not succeed in splitting up the party." In spite of this, Livni said that she had met the prime minister on Sunday out of an obligation to hear him and what kind of partnership he was proposing. Hinting that the issue was by no means closed, however, the Kadima head said, "Everything has a time and place." "She is the last person who can preach after she held a political parlor meeting during the war while missiles were falling," sources close to the prime minister said in response to Livni's criticism. Foreign Minister Avigdor Lieberman enhanced his reputation for straight talk Sunday when he told Israeli diplomats “to get the message across very clearly that the Palestinian Authority is not prepared to reach an agreement with Israel." The Foreign Minister called the Oslo peace accords an "illusion" that Israel "sold to Europe and the United State, It is easy to sell illusions and fantasies." "We have to stop thinking that the whole world is involved with us. It has many other problems and challenges besides the PA-Israeli struggle. We need to ask ourselves, ‘What are the chances of reaching a peace agreement with the PA?’ We have done everything, more than any other country would do. The problem is not Israel’s; it is the PA’s willingness. Even if we return to the 1967 borders, there will not be an end to the conflict. Even if we divide Jerusalem, nothing will change -- we will be in the same situation as today." "Israel has proved more than any other country that it is ready for painful concessions," he said. "We brought here a group of terrorists from Tunisia, we gave them guns and a government and even gave up Gush Katif." Repeating what a Russian analyst said at a Middle East conference in Jordan last week, Foreign Minister Lieberman estimated that there will be no lasting agreement in the next decade. (IsraelNN.com) .Arnold Roth, speaking on behalf of himself and his wife Frimet, was an invited guest on CNN International's news program "The Brief" on Thursday, December 24. Their daughter Malki, 15 at the time, was among 15 Israelis – including eight children – who were murdered by a Palestinian suicide terrorist in the Sbarro pizzeria slaughter in August 2001 in downtown Jerusalem. "What sane society would let such murderers back out on the street?" Roth asked rhetorically. He spoke of his opposition to the proposed exchange deal under which nearly 1,000 Palestinian Arab terrorists are to be released from Israeli jails in exchange for hostage Gilad Shalit. Shalit was abducted by Hamas terrorists in an undergound raid when he was serving on Israel’s border with Gaza in June 2006. Two soldiers were killed in the raid, and Shalit has been held hostage under inhumane conditions since then; no Israeli or Red Cross representative has ever been allowed to see him. (Haaretz).Prime Minister Benjamin Netanyahu is close to finalizing an agreement with the administration of United States President Barack Obama for peace talks between Israel and the Palestinian Authority, lasting two years, that will discuss the Palestinian demand for borders based on the 1967 lines and will include an exchange of territory and suitable security arrangements, former justice minister Yossi Beilin told the Meretz party leadership yesterday. These are the terms of the agreement being hammered out between Netanyahu and the U.S. government on Israeli negotiations with the Palestinian Authority - that Netanyahu is willing to agree that the Israeli-Palestinian negotiations will last for two years, Beilin said. When asked about Beilin's statements, a senior U.S. administration official said: "Things are moving in this direction, but the deal isn't done yet. There are several issues still outstanding." Beilin, who revealed Netanyahu's plan to declare a 10-month freeze on settlement construction a week before the prime minister made the announcement, based his statement on information he received from talks with Israeli and foreign officials. He said at a closed meeting of the Meretz leadership that Netanyahu and his special envoy for negotiations with the Palestinians, Yitzhak Molcho, had completed most of the work on the terms of reference for negotiations with the Palestinians during meetings with U.S. envoy George Mitchell. * Timetable: Netanyahu is willing to accept the U.S. proposal to allot 24 months to talks, but doesn't want to announce that the goal is to reach a deal by the end of that period. * Borders: Netanyahu has agreed that the goal of the talks is to end the conflict and reconcile the Palestinian position of establishing an independent state on the basis of the 1967 borders, with the exchange of agreed-upon territory, and the Israeli position of a Jewish state with recognized and secure borders that will meet Israel's security needs. * Jerusalem: Netanyahu has agreed that the status of Jerusalem will be discussed in the negotiations, but has not agreed to any preconditions on the issue. * Refugees: Netanyahu said he was willing to discuss the refugee issue only in a multilateral framework. * Previous agreements: Netanyahu is willing to commit to all previously signed agreements. * Arab peace initiative: Netanyahu is not willing to support the plan, but is willing to say both sides are taking into consideration international initiatives that contribute to the advancement of the peace process, such as the Arab peace initiative. Mitchell is expected to visit Israel and the Palestinian Authority in the second week of January to complete talks on the terms of reference for negotiations, Beilin said. 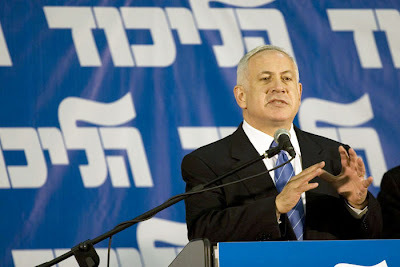 Beilin said Netanyahu's position has encouraged the United States about the possibility of renewing negotiations soon. "Their primary effort is to convince the Palestinians to accept it," said Beilin. "The American feeling is that Abu Mazen [PA President Mahmoud Abbas] will agree to this formulation." Oren, in Israel to take part in a Foreign Ministry-sponsored conference of all the country's ambassadors and consuls-generals, said in an interview that if the Americans wanted to twist arms, "they probably could. But they don't. That's not the way they want to go about it. They want to be in a situation where both sides [Israel and the Palestinians] come back to the negotiation table of their own free will, without being coerced in any way." While Oren said there were fundamental differences between Israel and the US on building in Jerusalem and the settlement issue, and while he said the US does make its positions known, he can't find any "physical evidence of pressure." For instance, he pointed out that the Reagan administration, which he characterized as a "very pro-Israel administration, an ultimate pro-Israel administration," cut off the supply of jet aircraft to Israel following the bombing of the Iraqi nuclear reactor in 1981. "That is pressure," he said. Likewise, he said that during the Camp David negotiations with Egypt in the 1970s, then-president Jimmy Carter "threatened to cut off aid if we didn't agree to certain positions. That is pressure." "Everyone is talking about crisis, crisis, and crisis [in the US-Israeli relationship]. I know what a crisis looks like. I haven't seen a crisis. I have seen tension, I have seen disagreements, but I haven't seen a crisis." The ambassador said that the litmus test of a "great alliance" is not that you agree on everything, "but how you deal with the disagreements. And on that we are doing very well." Asked if he felt that Obama was getting an unfair shake in Israel, where his polling figures were extremely low, Oren said, "I think he deserves more credit for some of the things that don't make the press." For instance, he said, "this administration has been particularly good on our security interests. I say this without reservation. They have been good on support for the Arrow anti-missile defense program. They have been very good on the joint military maneuver with Turkey - when the Turks forced us out, they pulled out. "They have been good on the whole issue of QME [qualitative military edge]. The have been excellent on QME. When they ascertained that our qualitative military edge had been eroded they worked very quickly to redress that." Oren said there have been historic understandings over several administrations that the US would ensure that Israel maintained a qualitative military edge "over any potential Middle Eastern adversary, or any combination of potential Middle Eastern adversaries, so that is quite an undertaking. This administration has worked hard to uphold that." Although Oren was sparse on details, he did say that working groups have been established to discuss various ways of redressing erosion that had taken place in this sphere. There have recently been reports that the US was making changes in some of the arms deals the Bush administration had brokered with Saudi Arabia and some of the Gulf states, to ease Israeli concerns that this would damage the qualitative edge. In addition, Oren said, the administration was "very good" on the Goldstone Commission report, "unequivocally condemning" it and "working to mitigate the impact of the report." Likewise, he said, the US was "very active, at many levels" in lobbying the EU against adopting a Swedish EU resolution that would have called for eastJerusalem to be the capital of a future Palestinian state. US efforts there, he said, "brought about a real change." "This is the kind of stuff that doesn't make the press here, but there are many nuances to the relationship. It is not monochromatic. Because there is so much emphasis on the settlements, on eastJerusalem, you don't see the other things." Oren said he didn't believe that the US was planning to come out with a new diplomatic "plan" that it would then foist on the parties, as many in the EU and Russia are hoping for. "I have heard [talk of] this from my first day on the job," he said. "They vigorously, strenuously deny it, and I have no reason not to believe this is not the case." Rather, he said, the US continued to believe that a resolution could be found through negotiations in good faith, and was trying to get the Palestinians back to the table. According to Oren, the US is approaching the Arab countries - Saudi Arabia, the Gulf countries, Egypt and Jordan - and saying they have to provide Palestinian Authority President Mahmoud Abbas with support and backing to return to negotiations. Asked what kind of support the US was seeking, Oren said Washington was looking for financial assistance for the PA to help build up Abbas's popularity, and also for guarantees that "if and when he goes back to the talks they will support him - first in going back, and then on the decisions he makes during the negotiations." Benjamin Netanyahu and Tzipi Livni met for an hour and a half Sunday evening to discuss the prime minister's offer to the opposition leader to join his government with her Kadima party. The two did not make any significant progress during the meeting and the proposal made to Livni included only two government portfolios. Netanyahu then left to the President's Residence in order to brief Shimon Peres on the results of the discussion. According to Netanyahu's offer, Kadima will join the existing coalition and the coalition agreements signed with the Likud's partners will not be opened, forcing Kadima to commit to all the current agreements. The prime minister's proposal stated that the government's basic guidelines would not change and that Netanyahu would continue leading the peace negotiations and making all the diplomatic decisions. During the meeting, the opposition chairwoman expressed her reservations over the offer. "This can be an honest conversation and it can also be another reeking political maneuver," she told the prime minister. "Your plan, first of all to try to split Kadima and then to turn to me, does not testify to your good intentions. These threats against me, if you haven't realized this by now, don't work." Livni asked for a conversation on diplomatic issues and a permanent agreement with the Palestinians, but Netanyahu refused, insisting that the government is acting in accordance with the principles he expressed in his Bar-Ilan speech. "I don't understand why you don't believe me," he said. "My offer is sincere and serious. You will take part in all crucial decisions in the peace negotiations. I have no plans to hold the talks on two parallel and uncoordinated channels, but with a limited forum headed by myself, and you will be part of it." Netanyahu stressed that he expects Livni's answer in "no more than a few days." After the meeting, he told his associates that he believed the Kadima chairwoman was playing for time. "If she wants to join, she can do it right away. If she's looking for reasons not to join, she'll find them," he said. "The offer is clear and simple and requires an answer: Either yes or no." After leaving the meeting, Livni began holding talks with Kadima's Knesset members ahead of Monday's faction meeting, where she is expected to brief the members in detail on her discussion with Netanyahu. The Kadima faction is expected to reject the prime minister's offer. A source close to Livni told Ynet that Netanyahu's refusal to change the government's basic guidelines and his demand that Kadima accept all the agreements he has signed with other people "says it all". According to the source, "Saying you're being serious doesn't mean you are." (Haaretz) .Foreign Minister Avigdor Lieberman on Sunday declared that Turkey had no place in mediating peace talks between Israel and Syria, despite "hints" to the contrary made by his government colleagues. Lieberman lambasted Defense Minister Ehud Barak and Infrastructure Minister Benjamin Ben-Eliezer, Labor chairman and high-ranking ministers, who accused of "proposing and hinting that there is place for Turkish mediation." "Stop creating illusions and disseminating things that have no connection to reality," Lieberman warned. "If you think that after [Turkish Prime Minister Recep Tayyip] Erdogans comments [about Israel] we would agree to Turkish mediation, even if it meant smiles and visit, forget about it." "So long as I am foreign minister and Yisrael Beiteinu is in the government, there will be no Turkish mediation,The Syrians want to talk? Then direct negotiations, only." (Haaretz).Prime Minister Benjamin Netanyahu vowed on Sunday that the Israel Defense Forces would respond to every assault on Israelis, one day after undercover commandos killed three Fatah militants behind a terror attack last week, an operation which prompted a request for clarification from the White House. "We'll continue to defend aggressively and respond to every attack against Israeli citizens and every rocket strike," the prime minister said. The Al-Aqsa Martyrs Brigades operatives killed in Nablus on Saturday were suspected of shooting 45-year-old Rabbi Meir Hai to death in an attack on his car in the northern West Bank on Thursday. Police said Sunday, meanwhile, that one of the weapons confiscated by IDF troops during the operation had been used to shoot Rabbi Hai, a resident of a West Bank settlement. Police took the weapons to a criminal identification lab for a ballistics check. The dead militants are Raad Sarkaji, 38, a Tanzim activist formerly of the Al-Aqsa Martyrs' Brigades in the Nablus area, who was arrested in 2002 and released at the beginning of this year; Ghassan Abu Shreikh, 40, who was also a former prisoner in Israel, and Adnan Subuh, 33. Security officials said Subuh had four weapons and a hoard of ammunition when he was killed. Senior Obama administration officials requested on Saturday that National Security Adviser Uzi Arad explain the IDF raid in Nablus. Arad shared intelligence with the officials that Israel had received about the militants, who belonged to the military wing of the Western-backed Fatah movement, and the details of the operation on Saturday that led to their deaths. The national security advisor, a key aide to Prime Minister Benjamin Netanyahu, stressed that this was a case of self-defense, since the three were behind a terror attack on Thursday. Israeli political sources said the Obama administration did not formally protest or complain about the incident, but only sought clarifications, passing on the Palestinians' complaint. AFP - Prime Minister Benjamin Netanyahu on Sunday said it was not clear whether Israel would strike a prisoner swap deal with Hamas that would see hundreds of Palestinians freed for a captured soldier. "At the moment there is no deal and it is not at all clear to me if there will be one," a senior official quoted Netanyahu as telling ministers from his rightwing Likud party ahead of the weekly cabinet meeting. "If we get a real proposal, I will bring it before the government, but we are not there yet and I don't know if we will get there," Netanyahu said, according to the official who was present at the gathering. Netanyahu also said he would go to Egypt to meet President Hosni Mubarak on Tuesday. Cairo had been mediating the talks for months without success before the entry of a German mediator earlier this year raised hopes of a deal. The meeting between Netanyahu and Mubarak comes following a round of talks between Egypt's intelligence chief Omar Suleiman and top officials in Israel and after Israel last week gave a German mediator its latest proposal over the swap. Netanyahu said that the killing of a Jewish settler in a West Bank attack last week underscored fears that a prisoner release could lead to a new wave of violence. The Israeli army on Saturday killed three Palestinians in the city of Nablus which it said carried out the deadly attack, including one who was released from Israeli prison several years ago. "The fear that terrorists could return to terror activity is a key consideration in the negotiations on Gilad Shalit. The security of our citizens, especially those in Judaea and Samaria (West Bank) is cardinal," Netanyahu said. "We want to have our prisoners released but ... We will not agree to expose our citizens to terrorism," he said. in the negotiations on Gilad Shalit. The security of our citizens, especially those in Judaea and Samaria (West Bank) is cardinal," Netanyahu said. "We want to have our prisoners released but ... We will not agree to expose our citizens to terrorism,". (PressTV).Israel's ambassadors and consuls generals from all over the world have been summoned to attend a conference to be held over global challenges facing Israel. "The idea is to facilitate direct dialogue with the country's leaders, mutual updates on major diplomatic issues, and a discussion of action plans to deal with the challenges awaiting Israel in the international arena in the coming year, including the Iranian threat," it said. This is the first time a conference for all of Israel's heads of missions has been held. (Charles Krauthammer-RCW).On Tuesday, Iranian President Mahmoud Ahmadinejad did not just reject President Obama's latest feckless floating nuclear deadline. He spat on it, declaring that Iran "will continue resisting" until the United States has gotten rid of its 8,000 nuclear warheads. (ISABEL KERSHNER-New York times).In the year since Israel launched its devastating military offensive against Hamas in Gaza, the country’s political and military leaders have faced intense international condemnation and accusations of possible war crimes. But Israel seems to have few qualms. Officials and experts familiar with the country’s military doctrine say that given the growing threats from Iranian-backed militant organizations both in Gaza and in Lebanon, Israel will probably find itself fighting another, similar kind of war. Only next time, some here suggest, Israel will apply more force. Both the three-week campaign in Gaza, which ended on Jan. 18, and Israel’s monthlong war in 2006 against the Shiite Hezbollah organization in Lebanon have brought relative quiet to Israel’s borders. Maj. Gen. Amos Yadlin, the chief of Israel’s military intelligence, said the source of the quiet was “not the adoption of Zionism by our enemies.” The main factor, he recently told an audience at the Institute for National Security Studies at Tel Aviv University, is Israeli deterrence, starting with the war in Lebanon and continuing with the Gaza operation that the Israelis called Cast Lead. Israel’s objective, according to Gabriel Siboni, a retired colonel who runs the military program at the Institute for National Security Studies, is to shorten and intensify the period of fighting and to lengthen the period between rounds. Israel was accused of using disproportionate force in Lebanon, particularly after it flattened the Dahiya district in Beirut, a Shiite neighborhood that housed the command and control headquarters of Hezbollah. Over the month, more than a thousand Lebanese were killed. But Israeli experts say that as long as the targets are legitimate ones, the whole point is to try to overwhelm the enemy with maximum force. The destruction of Dahiya “sent a message to Hezbollah of the consequences” of confrontation, Mr. Siboni said. In the 2006 war, which was precipitated by a deadly cross-border raid by Hezbollah, Israel bombed the Beirut airport, a strategic bridge linking north and south Lebanon and some power supplies. But Israel said it was doing so only to hamper Hezbollah’s war effort, and it directed the brunt of its attacks against the militia. Now, with Hezbollah playing a more active role in the Lebanese government, Lebanon could be held more responsible for Hezbollah actions against Israel, Israeli security officials and experts say. Mr. Siboni said the idea was to inflict such damage that the other side would ask whether confrontation was worthwhile. Military officials strenuously deny that Israel plans to hit economic or civilian infrastructure to cause suffering to the local population, in the hope of turning it against the war. General Kochavi said that Israel would never deliberately fire on civilians but that civilian buildings containing weapons or rocket launchers would be bombed after residents had been warned to evacuate. With the war in Gaza, however, the distinction between military and civilian infrastructure seemed to become increasingly blurred. Gerald Steinberg, a political scientist at Bar Ilan University near Tel Aviv, said the Goldstone report was viewed in Israel as a “political threat that needs to be thwarted politically,” but there was no sign, he said, that it had led to military restraint. (Ynet).Deputy Foreign Minister Daniel Ayalon said Saturday that the year 2010 will be a decisive year with regards to Iran and its nuclear plan. Speaking at an event in Rishon Lezion, Ayalon stressed that the entire international community, and not just Israel, will be facing a test next year. "There is a broad international front against the Iranian nuclear program, and if Iran doesn't provide the international community with the right answers by the end of the year, the Security Council will likely approve sanctions against it," he said. Also during the event, Ayalon addressed the possibility that the Kadima party may join Prime Minister Benjamin Netanyahu's government, following a proposal made earlier this week by Netanyahu to opposition Chairwoman Tzipi Livni. "Anyone who accepts the current government's path and its principles is welcome to join it," he said. (IsraelNN.com) The “peace process” began in Madrid 18 years ago, but peace still is not likely "by 2020 or by 2030.” according to a Russian expert for Arab studies who spoke at a Jordanian conference under the title, Middle East 2020: Is a Comprehensive Settlement Possible?" He said there has been no change in the same three issues, which have confounded world leaders trying to orchestrate an agreement between Israel and the Palestinian Authority. They are the status of Jerusalem, foreign Arabs claiming a home in Israel and Jewish development in Jerusalem and Judea and Samaria. “Any government that will come into power either in the Palestinian National Authority or in Israel would never agree to cede Jerusalem or to divide it even under threat of being ousted,” the Institute of Strategic Studies and Analysis expert told the Russian news agency RIA Novosti. Demidenko’s view that the current political stalemate does not allow for any negotiations flies in the face of continued optimism in the Western world as well as in Russia that they can improve on the efforts of their predecessors. A poll published in Yediot achronot weekly addition newspaper, shows PM Netanyahu holding on to s strong popularity since he entered office 9 month ago, as 60 % of those surveyed said they approve of the way Netanyahu is handling his job as Prime minister, and 35 % disapprove. Regarding the Shalit deal, 65% approve Netanyahu's handling of the matter and the propsal negotiated with the Hamas. Do you support the release of hundreds of heavy terrorists and their expulsion in return for Gilad Schalit? Do you think that Gilad Schalit will be released soon? Should the public get more information about the deal or does this interfere with the negotiations? What grade would you give to the following people for their stand and performance in the Gilad Schalit episode? What grade would you give to the prime minister for his general performance? (Jpost).Prime Minister Binyamin Netanyahu will discuss forming a national-unity government with opposition leader Tzipi Livni on Sunday evening, but MKs in both their parties said Saturday night that a split in Kadima was inevitable. The Jerusalem Post learned over the weekend that the group of at least six Kadima MKs who intend to leave the party requested that the Likud try to persuade Livni to join the government so they would have an excuse to split the party when she said no - which she made clear she would over the weekend when she called Netanyahu's offer "not serous." Following the meeting between Netanyahu and Livni on Thursday, when the prime minister invited her to join the coalition, Likud officials called the rebellious Kadima MKs. They expressed satisfaction with the move and reiterated their intention to break off from Kadima. "Either Tzipi Livni joins the coalition with Kadima or some of Kadima will join the coalition [without her]," the Likud's Transportation Minister Yisrael Katz, the architect of the Kadima split, told Channel 2 on Friday night. "Part of Kadima see themselves closer to the positions of the government than the leftist positions of Tzipi Livni." Netanyahu's associates said he would tell Livni on Sunday that she needed to make up her mind immediately regarding his offer for her to join the security cabinet along with her No. 2, MK Shaul Mofaz, as ministers-without-portfolio. "My government has been functioning harmoniously and has achievements," the prime minister will tell Livni, according to his associates. "There is no reason to shock the system. If you recognize the opportunity to strengthen Israel in the face of the threats from Iran, and the Goldstone Report, accept my offer." If Kadima, in Monday's faction meeting, decides against joining the coalition, the Knesset House Committee could meet on Tuesday to formalize the split in Kadima, giving Netanyahu an accomplishment to celebrate at that evening's Likud Central Committee meeting, which could be tense due to opposition in the party to the construction moratorium in Judea and Samaria. That would depend on a seventh MK joining the six who are expected to leave Kadima: Eli Aflalo, Arieh Bibi, Shai Hermesh, Otniel Schneller, Yuli Shamalov Berkovich and Ronit Tirosh. Livni spoke personally to almost every Kadima MK over the weekend, and a consensus opposed joining the coalition under the conditions Netanyahu proposed. Mofaz told Livni he insisted on being part of a negotiating team with the Likud. Tirosh released a list of demands for Kadima to join the coalition on Saturday night that did not include anything the Likud is unwilling to offer. She reiterated over the weekend that if Livni turned down the offer for unsatisfactory reasons,Kadima would split. "My purpose is to widen the existing unity government to [help] contend with the great challenges Israel faces," Netanyahu told his associates on Saturday. But, he said, "I have no intention of opening up coalition agreements of a unity government that is functioning so well and with such cooperation between its elements." "There will be no redistribution of portfolios," the prime minister said. "I expect a swift response from Livni and hope she will understand the importance of the occasion." What do you describe as a defining moment in the past 10 years that changed yours or others life? (AMIR MIZROCH-Jpost).It unfolded like something out of a Mario Puzo novel: The powerful don of a mob family holds months of clandestine talks with the disgruntled henchmen of a rival clan and gets them to betray their boss, abandon their family and leave it exposed and vulnerable, fated for cruel elimination. While there are whispers and innuendo all the way through the secret negotiations, no alarm bells sound and no traitors are uncovered; the signs are there, but they are ignored. Consequently, three - count them, three! - competent consiglieri of the enemy camp hold regular contacts with up to 15 members of the unsuspecting boss's family, for three months. Three months of subterfuge, collusion, late-night meetings at the don's home in the North, and even in his office in the nation's capital - even there, out in the open. Every time a finger is pointed at a possible traitor, the naïve boss doesn't want to believe it, all is forgiven... and the secret talks go on. When the secret is finally broken, in the public press, the boss is shocked, paralyzed, humiliated, laid bare. The only words she can utter are, "I am aware of my mistakes and will take steps to correct them." Even the second-in-command, a powerful former general, is taken by surprise. In a desperate bid to preserve his standing in the family, he attempts to rally his supporters, pleads with them not to abandon him. But is he too late? Is the family split, old allegiances irrevocably broken, too many new hatreds hatched? Tzipi Livni, her fiercest critics say, deserves to lose her party. She was outmaneuvered these past months by a prime minister she wrongly assumed was snowed under with other work, so overloaded that he couldn't possibly be working to undermine - no, make that destroy - her political party. She believed that a prime minister with such a large coalition would have no urgent need to expend the tremendous energy required to engineer the dismantling of Kadima, to entice at least seven MKs to defect to the Likud. But in truth, it didn't actually take that much to pique their interest: a minor ministry here, some deputy ministerial positions there, some Knesset committee chairmanships. Such are the laws of the Israeli political jungle. Laws that Binyamin Netanyahu evidently understands. Laws that the original political godfather, Ariel Sharon, lived by. Laws that Tzipi Livni failed to grasp. And so, two weeks after being lulled by Likud words of superficial solidarity - "We are all Tzipi Livni" - when an arrest warrant was issued for her in London, she is now battling to hold Kadima together. She laments that Netanyahu abused her gracious offer of amnesty from attack while she thought he was busy bringing Gilad Schalit home. She laments that he rewarded her for her largesse in so brutally utilitarian a fashion. But this is the arena she chose too - the constantly scheming, plotting political jungle. And the new big beast scented his prey. One can be forgiven for seeing the hand of the ever-scheming Ehud Barak in this maneuver. He, too, has no interest in a robust Kadima, siphoning off Labor's already dwindled support. But, ultimate failure or success, this is Netanyahu's political play. As of Thursday night, he looked to have overplayed his hand; he had hurt Livni, but not broken her. He had hoped to make Livni look like a novice - still the novice, still without any major achievement. She won the election, but not the Prime Minister's Office. She won the election, but could she be losing her party? In the Knesset on Wednesday, the prime minister detailed the three issues with which, he said, he was most busy: Iran, Hamas and the aftermath of the Goldstone Report. And Livni believed him. Sensing that he might face trouble down the line with his own right flank if international pressure to make diplomatic progress mounts, Netanyahu sought to buy himself a few more loyal soldiers. Contrarily, were Labor to bolt or split if settlement building resumes, he wanted extra MKs to replace the departees. Much as this was a strategic move against Livni, it was also an attack on Shaul Mofaz. Poor thwarted Mofaz. All six of the MKs who made tentative deals with the Likud were his supporters. He, too, missed the rumblings - and they were from within his camp. Not that it will be much comfort for her, but his position is not much better than hers, maybe even worse. For what is a general without his soldiers? How could he possibly mount a serious challenge even to Livni's exposed leadership without a strong political base, assuming she is able to steady the ship and rally the remaining troops? Netanyahu failed to deliver the knock-out blow. But outmaneuvered and embarrassed, Kadima's top two figures are back fighting each other, scrapping for primacy in their shaken party. And, simultaneously, they are now forced to grapple anew, amid his latest overtures for a unity coalition, with the machinations of Netanyahu. Aluf Benn-haaretz).Prime Minister Benjamin Netanyahu once again asked opposition leader MK Tzipi Livni (Kadima) to join his coalition yesterday - but said if she refused, he would do his best to split her party. Netanyahu told Haaretz that he has wanted to expand his government "from day one.we offered her 'unto half the kingdom' and she did not want it. But I'm continuing to try, and if I can, I'll take at least part of Kadima." Expanding the coalition is important "in light of the political, security and economic challenges," he said. "The coalition is not always coherent in these matters. Kadima joining, or part of Kadima joining, would create a very large and focused bloc." Netanyahu said he wanted "wider margins" to pursue action on "various fronts," including steps such as those he has already taken on the Palestinian issue: the removal of West Bank checkpoints, his speech at Bar-Ilan University in which he supported a Palestinian state ("words are also important," he said), and the freeze on construction in the settlements. "What is Kadima's problem with joining?" he asked. "The diplomatic plan has very broad national consensus today." "Today, after the Bar-Ilan speech, everyone knows we do not reject peace," he added. Netanyahu said he foresaw no problem working with Livni. "She'll come in as minister without portfolio," he said, "like [Menachem] Begin in 1967," in the run-up to the Six-Day War. He rejected the claim that he wanted Kadima in the government in case Foreign Minister Avigdor Lieberman (Yisrael Beiteinu) is indicted on the corruption charges for which he is being investigated, and Yisrael Beiteinu subsequently leaves the coalition.